BANGKOK, Thailand Bangkok crowns the the world’s best destination by the Mastercard’s 2018 Global Destination Cities Index, making it the third consecutive year that Thailand’s “City of Angels” has been ranked in the top spot. With roughly 20 million international overnight visitors, Bangkok retained the top spot again this year. According to the study of the Mastercard Index, the top cities once again underscored the importance of robust infrastructure, both business and leisure attractions plus strong local culture. The Mastercard Index predicted a strong annual growth for tourism arrivals of 9.6 percent this year for Bangkok. 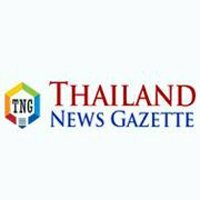 It also noted the impressive fact that visitors stay in Bangkok for 4.7 nights on average with daily spending of over 173 U.S. dollars per day, amounting to 16.36 billion U.S. dollars in total in 2017. This placed the Thai capital in the 5th place of the Top Cities by Dollars Spent.